Larry L. Bertsch, CPA & Associates, LLP provides forensic accounting and litigation support and related services to clients and attorneys. Who Does Our Forensic Accounting? 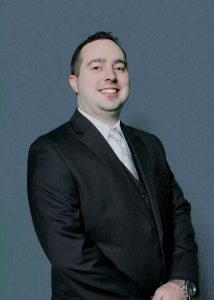 Mr. Bertsch is a Certified Public Accountant (CPA) and is Certified in Financial Forensics (CFF). With respect to forensic accounting, the Firm investigates and analyzes financial evidence. The CPA firm also develops computerized applications to assist in the analysis and presentation of financial evidence; communicates findings in the form of reports, exhibits and collections of documents; and assisting in legal proceedings, including testifying in court as an expert witness and preparing visual aids to support trial evidence. Mr. Miller is a Certified Fraud Examiner and Certified Specialist in Asset Recovery (CSAR). The Certified Fraud Examiner (CFE) credential denotes proven expertise in fraud prevention, detection and deterrence. Such Examiners are trained to identify the warning signs and red flags that indicate evidence of fraud and fraud risk. Mr. Miller has acquired the skills to understand how fraud is committed and how it can be identified; examine books and records to detect and trace fraudulent transactions; interview witnesses to obtain information; write investigation reports and advise clients as to their findings; and gain an understanding of the underlying factors that motivate individuals to commit fraud. Larry L. Bertsch, CPA & Associates, LLP provides Bankruptcy support and related services to clients and attorneys. Mr. Bertsch served as a panel Trustee for United States Bankruptcy Court for the District of Nevada between 1991 and 2000. He has served as an examiner, accountant and expert witness for Panel Trustees in subsequent years. He holds the distinction of having served as state-court receiver, federal court ancillary receiver, and responsible party for a debtor, which had been under his control in receivership, all at the same time. He managed to convince all three courts to hold joint hearings on pending matters which affected all parties. See In the News, Southwest Exchange. 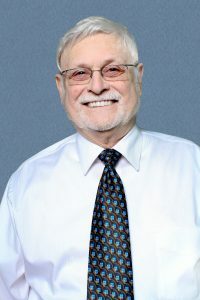 Mr. Bertsch of Larry L. Bertsch, CPA & Associates, LLP has been appointed by Federal and State in business and family actions as a Receiver, Special Master, and Examiner. He has developed a reputation as a Court-appointed officer who gets the work done and with results. Close the company for further instruction of the court.